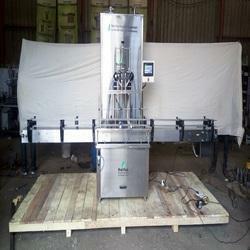 Bottle Filling Machine offered comes with filling way piston as well as pneumatic and electric operation support. Further, these provide for fully automatic operations and feature stainless steel construction finish for durable as well as long lasting performance. 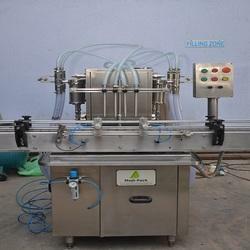 Some of its features include suitable for filling of liquid, paste products and other processed materials; multi filling nozzle support, allows for easy adjustment for different bottles, auto cleaning support, filling speed can be adjusted as per material density and viscosity, choice of adjusting conveyor speed, auto counting system and others. We take pleasure in introducing ourselves as one of the leading organizations, engaged in offering Servo Filling Machine that is fully operated by PLC & HMI with Servo Motor. 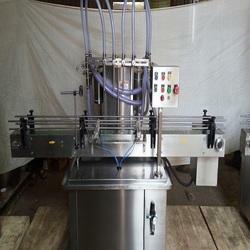 Our machine is suitable for viscous paste, cream, cosmetic lotion, syrup, honey, gel, jams, mixed food and adhesives. Our offer machine is provided with dust free enclosure and the correction of weight can be done without stopping the machine. Automatic Phenyl Filling Machine offered provides for consistent performance support as well as allows constant speed operations. Further, these machines come with superior filling accuracy of + / - 1 % and feature advanced PLC control system for high precision performance. Some of its features include high degree of automation support, safe and reliable operations, allows for quantitative filling performance, working parameters can also be custom developed as specified by the customers. Automatic Ghee Filling Machine offered provides for superior auto filling and sealing support and delivers highly automated operation support. 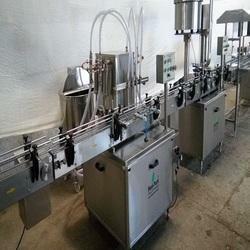 These systems allow precise handling of operations involving cup feeding, filling and sealing of products. Some of its features include suitable for use in mass production lines, all machine parts made of stainless steel 304 for maintaining hygienic operation quality, PLC control with touch screen for easier handling of operations, pneumatic control support, requires less maintenance. 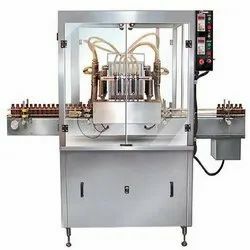 Semi Automatic bottle filling machine offered provide for safe and easy operation support and come with contact parts made of 316L stainless steel for hygienic handling of the processes. 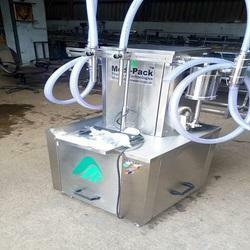 Further, the machine comes with adjustment filling volume and filling speed and provide for high filling accuracy. Some of its features include anti-leakage performance of filling head, easy operation, low noise emission, finding use in filling of chemical, oil, medicine, cosmetics and other products; can be provided with support of pedal operations and others.